Elephants are supremely complex, social animals, whose natural biology and behaviour is based on living within and as part of closely-bonded matriarchal herds. The keeping of elephants alone in zoos is proof that the current zoo system is flawed. 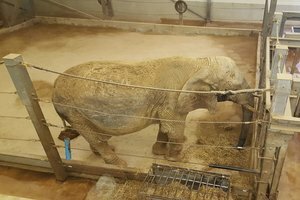 There are many explanations and excuses offered why captive elephants may be kept isolated and alone, including disease, behavioural problems, or a lack of suitable companions or facilities in which to house them. However, elephants in the wild, particularly females, do not live alone and every solitary elephant is a victim of a captive system that has let every one of them down. In 2013, Born Free published the damning report Innocent Prisoner, which exposed the lives elephants living in solitary confinement throughout Europe endure. We discovered there were over 40 elephants housed alone in zoos, circuses and private facilities across Europe. 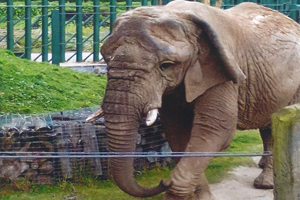 Today, there are still elephants kept alone in UK zoos. Watch the award-winning short documentary The Elephant in the Room, produced in association with Born Free, uncovering the plight of solitary captive elephants in Europe.